The Fitzwilliam Museum is the art and antiquities museum of the University of Cambridge. The museum was founded in 1816 by the 7th Viscount Fitzwilliam of Merrion who bequeathed his vast collections of art, music and books to the university. Fitzwilliam's bequest included 144 pictures, among them Dutch paintings he inherited through his grandfather and masterpieces by Titian, Veronese and Palma Vecchio he acquired at the Orléans sales in London. During a lifetime of collecting, he filled more than 500 folio albums with engravings, to create a vast collection of prints by some of the most celebrated engravers, as well as a series of Rembrandt's etchings that was unsurpassed in England at that time. His library included 130 medieval manuscripts and a collection of autograph music by Handel, Purcell and other composers. Additionally, Fitzwilliam provided a sum of £100,000 for the construction of the museum building, that he hoped would be an “unforgettable monument," a university museum which would be a place of learning as well as a repository for magnificent works of art. The museum building, designed by George Basevi, opened to the public in 1848. The collection has continued to expand since the museum's founding and includes works by Rubens, Breughel, Constable, Turner, Monet and Picasso. 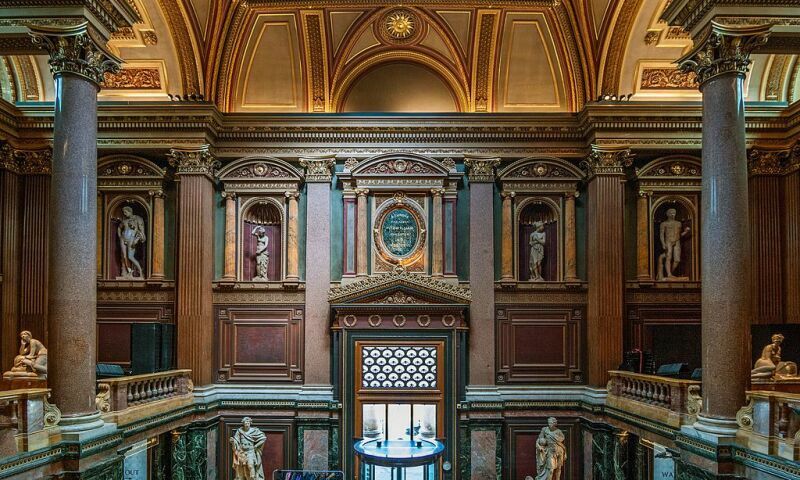 The Fitzwilliam Museum is also known for its remarkable collection of antiquities, with artifacts from ancient Egypt, Greece, Rome, Cyprus and Asia. Additionally, the museum collection includes illuminated manuscripts, medieval coins, Renaissance sculpture, Asian art, and applied and decorative arts.